Resetting the gadgets which we use on a daily basis like iPhone, may sound scary and not at all ideal. As resetting would mean wiping off all the personal data and settings of your device which you would have acquired since the beginning! 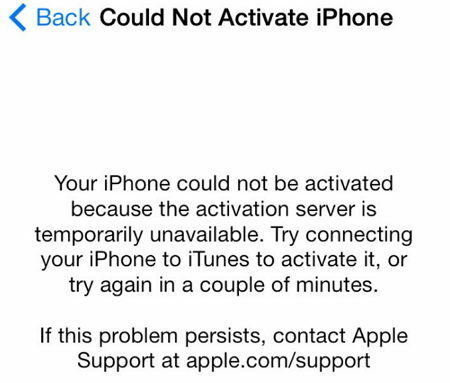 It becomes necessary occasionally when you need to troubleshoot your iPhone for software errors or in a scenario where you are planning on selling your device. It is a good practice to back up important data before resetting your device so that you don't lose it permanently. Read on to find out some quick ways on how to reset iOS 12 iPhone/iPad/iPod. The word "Reset" actually include the meaning of soft reset, hard reset and factory reset. Let me introduce them respectively. Soft reset is just a simple reboot or restart of the device. You can do this when some of your phone's applications are not functioning properly or when your phone is not able to perform important functions. The information about how to soft reset iOS 12 is given below. If you are using iPhone X then the reset sequence is different. You have to tap the Side button along with anyone Volume Up or Down buttons until you see the Slider. For iPhone 8 or any earlier version or iPad then the reset sequence is the same. You just have to tap and hold the Side button until you see the Slider on the screen, then swipe it to restart the device. Step 1: Go to "Settings" option. Step 2: Tap on "General"
Step 3: Select the "Shut Down" option after scrolling down. Once your home screen appears, you can continue to use your device normally but you will notice that your device will perform slightly better than before after the soft reset. No data is lost during a soft reset. Step 1: Press the volume up and down button quickly. Step 2: Simultaneously hold the side button for a while until the Apple logo appears. Step 1: Press and hold the Power button on the right side of the device. Step 2: Simultaneously, press the volume down button. Step 3: Keep holding both the buttons until the Apple logo appears. Step 1: Press the Power button and Home button simultaneously and hold it until you can see the Apple logo. Step 2: Your phone will reboot and the home screen appears. This method proves very useful when your phone has suddenly become unresponsive or it has shut down and is not turning on again. Unlike the earlier methods, a factory reset will completely wipe off all the personal data, applications, and settings etc which are stored in your phone. This is the best option when you want your iPhone to be the closest to how it was when you first opened it from the box. You can reset your iPhone when you are planning on selling it or if your phone has massive operational issues or it has become very laggy. Following are three different guides on how to factory reset iOS 12 devices. This is the most basic way to restore your iPhone. Step 2: Select "General" settings. Step 3: Tap on "Erase All Content and Settings". Step 4: Confirm the process by tapping on "OK". 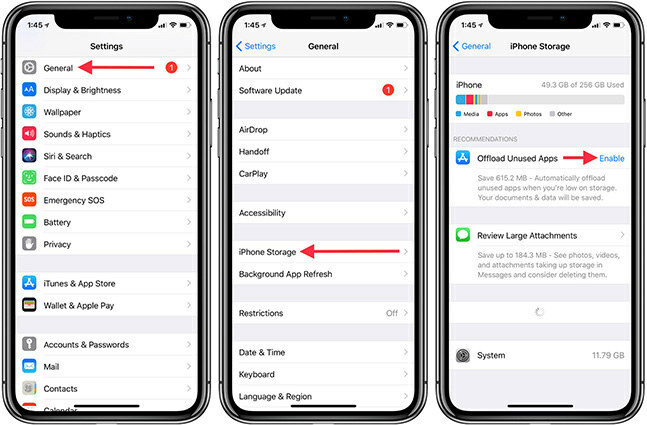 This method is the most used method to restore settings in iOS 12 devices. Read the following steps to know how to reset iPhone iOS 12 to factory settings using iTunes. Step 1: Using the USB lightning cable connect your iPhone to your computer. Step 2: Run iTunes on your computer to which your device is connected. Step 3: Select your iPhone and click on "Restore" in the Summary panel. Step 4: Confirm by clicking on Restore again. All the data will be erased and the latest iOS version will be installed in your device. If it ever happens that you have forgotten your iPhone passcode or you are locked out of your device while need to completely reset the device, you can easily restore your phone's factory settings and gain access to your phone by using Tenorshare 4uKey. 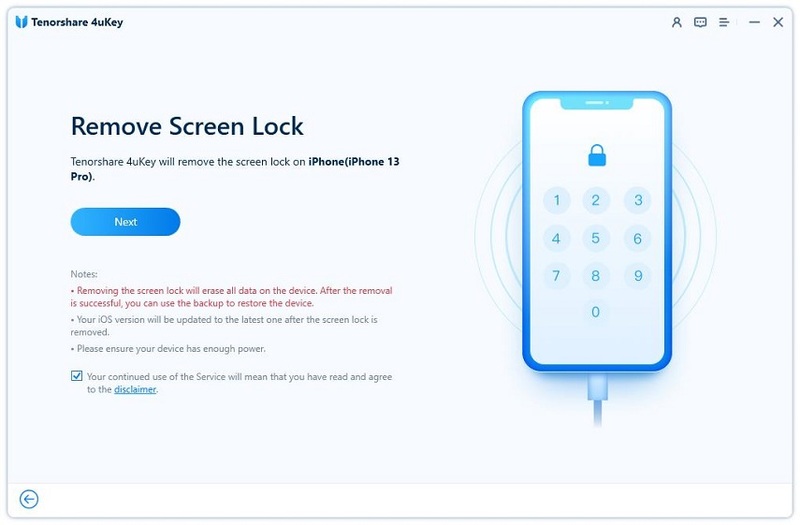 It is an easy and non-complicated tool which has been designed to unlock and erase the iPhone without passcode and the use of iTunes. Follow the steps below to use this useful tool. Step 1: On your PC or Mac, download and install Tenorshare 4uKey and launch it. Step 2: Connect your iPhone device to the computer and click on "Start". Step 3: Download the latest firmware package by first saving the path and then clicking on "Download". Step 4: After the firmware download, click on "Unlock Now" to unlock your iPhone by removing the passcode. Now, once the passcode of your device has been successfully removed, you can set up and customize your device. You can now set up a new passcode, Face ID, Touch ID, and all other settings. For tackling all minor issues in your iPhone, the first two methods can be used. You can choose to soft reset or hard reset iOS 12. In these two methods, none of your personal important data stored in the phone will be lost. The third method to completely reset your iPhone should be used only when your phone is showing critical operational issues. After factory reset, the latest iOS version will be installed on the phone and if required you can download the backup. But we highly recommend 4uKey for this purpose, as it is the easiest and the most effective method here in this article. A basic few steps and you will be done resetting your device. Go for it!